Call the Law Office of Gerald Brody & Associates today at (619) 528- 9800 to schedule a free consultation. Cracked, torn or uneven flooring. Poor lighting. Spilled liquid. Exposed cables. What do these workplace hazards have in common? They all contribute to the most common type of job-related accident: slip and fall. Each year, according to the National Safety Council, more than one million workers’ compensation claims are filed for slip and fall injuries. Usually, the damage is relatively minor. Sprained tendons, ligaments and muscles; minor bruises; and small gashes make up the majority of slip and fall injuries. But sometimes, a slip and fall results in something much more serious: head trauma, a herniated disc, a bone fracture, or even amputation. If you slip and fall on the job and decide to file for workers’ compensation, chances are your claim won’t be an unusual one. After all, slip and falls account for over 20 percent of all workplace injuries. But just because cases like yours have been seen thousands of times before doesn’t mean you won’t have a tough time collecting your benefits. At the Law Offices of Gerald D. Brody & Associates, we’ve helped countless workers injured in slip and fall accidents get the benefits they desperately need to make a full recovery. Depending on the severity of your condition, the claims process can be a lengthy one. Here’s a brief overview of what you can expect for most soft-tissue injuries. Regardless of the reason for your slip and fall, all workers compensation injuries must be proven to result directly from the performance of job-related duties. To do this, you’ll have to file a “first report of injury” form (DWC-1) with your employer. This is where you’ll note specific details about your slip and fall such as the time, date, and cause of the accident. Next, your employer will give you a list of approved physicians that are paid for as part of your workers’ compensation benefits. After choosing a physician, you’ll go in for an evaluation. If necessary, you may be referred to a specialist who concentrates in the area of your injury such as a chiropractor, podiatrist, or orthopedist. Once you’ve reached a level of maximum medical improvement (MMI), you’ll receive a return to work form, noting your limitations or clearance to resume your job duties. Of course, the process doesn’t always go this smoothly. Perhaps there is a question of liability, or maybe your insurance adjuster is looking for ways to deny you the benefits you’re owed. If you can’t reach a settlement, you may have to take your claim past the negotiation stage and file a lawsuit. This is where an attorney becomes invaluable. If your slip and fall accident has left you seriously injured or if your employer has refused liability for your accident, navigating the complicated workers’ compensation system isn’t something you’ll want to do alone. At the Law Offices of Gerald D. Brody & Associates, our attorneys have years of experience and leverage in the legal system. We can subpoena records, take depositions, and file a lawsuit if necessary. At Gerald D. Brody & Associates, your initial consultation is free, and there’s no obligation for representation should you decide to proceed without the help of an attorney. Call us today at (619) 528-9800 to maximize your chances of a successful workers’ compensation payout. We’ll do everything we possibly can to get you the benefits you deserve. On temporary total disability, you will receive bi-weekly checks to compensate you for missed wages while you’re unable to work. Additionally, your employer’s insurance carrier will pay for all provable, reasonable, and necessary work-related medical bills until you’re back on your feet and approved to return to work. How Much will I Earn With Temporary Total Disability Benefits? Temporary total disability payments are usually equal to two-thirds of the wages you were earning before your accident. For example, if you are a part-time nurse’s aid and your gross wages prior to becoming injured were $300 per week, your temporary total disability payments will be $200 per week. That being said, there are minimum and maximum weekly amounts you can collect under California law depending on the date of your injury. If you were injured in 2016 and your gross wages before your accident were more than $1,692.65 per week, your temporary total disability payments will be a maximum of $1,128.43 per week. If you were injured in 2016 and your gross wages before your accident were less than $253.89 per week, your temporary total disability payments will be a minimum of $169.26 per week. If your weekly gross wages prior to your accident fell somewhere in between these two limits, the two-thirds rule above will apply. When and How will I Receive My Workers' Compensation Benefits Payments? Once your employer learns about your injury or illness and your treating doctor confirms that your condition is severe enough to prevent you from doing your job, you should receive your first payment within 14 days. It will arrive along with a letter from the claims adjuster explaining how your benefits were calculated. Your treating doctor says your condition has improved and you can return to work. Your doctor says you’ve suffered permanent impairment and are no longer expected to improve. 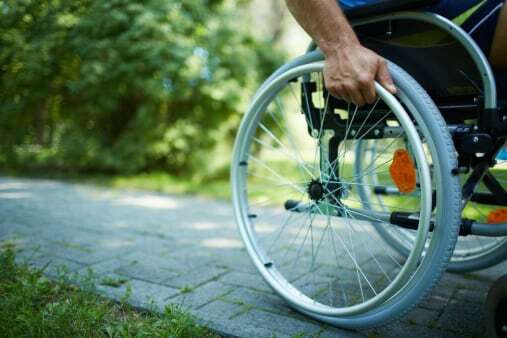 In this case, you’ll start receiving permanent disability payments right away. Two years have gone by since you started collecting temporary disability benefits and you are no longer eligible. When you’re seriously injured, the last thing you want to do is figure out how you’ll stay afloat financially while you can’t work. That’s where we come in. At the Law Offices of Gerald D. Brody & Associates, it’s our job to negotiate the best possible benefits for you so you can put all of your focus on recovery. If you’ve ever examined your pay stub, you may have noticed that a small portion of your wage (1 percent in 2018) is taken out for state disability insurance (SDI). In the event you develop a physical or mental disability and are unable to work, SDI takes money from this fund and provides you with a weekly benefit check to replace some of your lost income. In California, the SDI fund also provides benefits to women who are unable to work due to pregnancy. Those who need to take paid family leave to care for a sick relative or bond with a new child may also apply for SDI benefits. To apply for state disability insurance you’ll need to gather basic documents proving your identity, including your social security number and California driver’s license or state ID. Have information about your most recent employment and disability on hand, too. Then, create an account on the EDD SDI website to process your application online, or order a physical claim form via mail. After you’ve set up your account or received your claim form, use the information you’ve gathered to fill out Part A. Ask the doctor who is treating you for your disability to complete Part B of your claim form before submitting your application online or mailing it to your nearest SDI office. Most benefits are issued within two weeks of when EDD receives your completed application. We all pay for car insurance to protect ourselves from the expenses of a vehicle accident. Similarly, you can purchase private short-term disability (STD) insurance to replace some of your income for a set period of time while you recover from an injury or illness. Some employers provide STD as part of their benefits package, while others don’t offer it at all. The first step is to ask your Human Resources department if such a benefit is available through your company. If your employer doesn’t offer STD or you’d like additional coverage, you can apply for a policy with a private insurance carrier. To apply for short-term disability, perform an Internet for “short-term disability private insurer” and compare your options for coverage and pricing. You’ll also want to look at how long you have to wait before you can collect benefits. When you decide on a provider, the carrier will provide you with a licensed insurance agent who will send you an application. As with any other bill, you’ll need to make timely payments or set up automatic withdrawals from your bank, if offered. In the event you become disabled, you will call your insurance company and file a claim – just as you would in a car accident. Keep a detailed account of information pertaining to your injury or illness, including the date you were first unable to work and the names of all treating hospitals and physicians. Remember to make a copy of your claim form and send it certified mail, return receipt requested, to the insurance carrier. You should hear back regarding your claim in a few weeks. If you don’t, contact your insurance agent directly to check on the status of your claim. Workers’ compensation and disability compensation: Can I collect both? Unlike workers’ compensation, which provides benefits to employees who are hurt on the job, state disability insurance and short-term disability are designed to offer income-replacement benefits to those with disabilities unrelated to work. Generally, a worker isn’t allowed to collect both types of benefits at the same time. There are exceptions, though. The best way to find out if you’re eligible for workers’ compensation and disability compensation is to schedule a free consultation with the best attorneys in San Diego.